Adrenaline Challenge: Not a very realistic game, but gets addicting after level one, lets you play with cheats as well. UpHill Rush: A game that not only brings motorcycles into the game, but skateboards, ATVs, and monster trucks. Race or play a time trial while gaining turbo, when doing 360 flips. 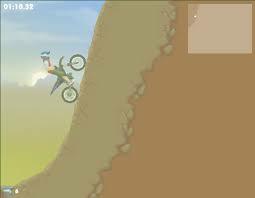 Mountain Bike: This is a really fun game, that allows you to bike underground. 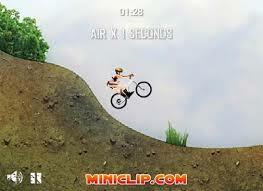 Mountain biking has great backgrounds and breathtaking jumps, that gets you hooked for hours. Dirt Bike 1: A obstacle coarse in a stadium that is addicting. Great Graphics, unlimited lives, and challenging levels. Dirt Bike 2: Not as obstacle like as the first one, but has little better graphics and is outdoors. Dirt Bike 3: This one has a lot better graphics then the first, and takes you almost anywhere. From car washes to junkyards. You'll have fun forever. Free Rider: Build your own track, with free rider. Imagine the most insane coarse ever, then build it. It's like biker tycoon. I would definitely play this one. 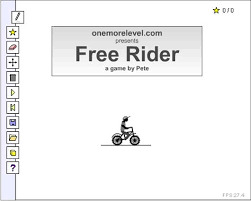 Free Rider 2: Exactly like the first one, accept now you can switch bikes to a balloon or square. You also have the ability to put boosts on your coarse and much much more. TG Motocross: Full of crazy jumps! You definitely need to land these jumps right, or else you won't make one's that require much speed. A lumpy coarse that is insane! 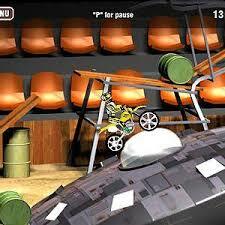 Nuclear Bike: Tread over insane terrain and jump the huge obstacles in this dirt bike game. 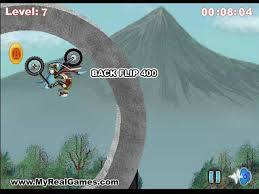 You must complete 15 levels in order to win a 21centurygame biking game favorite that is, Nuclear Bike.